Nutter is serving as host and sponsor of the Massachusetts Medical Device Industry Council’s (MassMEDIC) program “Challenges and Best Practices for Patient Engagement and Behavior Change from Across the Stakeholder Spectrum” on January 31. 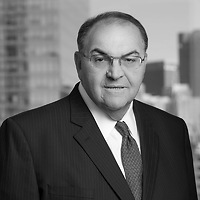 William F. Kennedy, a partner and chair of the Public Policy Group at Nutter, will serve as a panelist. The program focuses on how increasing health care costs and a population that is both growing and graying have researchers and the media publicizing mobile health (mHealth) as a powerful "any time, everywhere" anodyne for health care quality and costs at the individual and population levels. The panelists will explore varied perspectives on the challenges and best practices for patient engagement and behavior change from across the stakeholder spectrum. Topics include: the varying definitions of patient engagement; approaches to support and improve lasting engagement; tools for collecting data "anytime, everywhere" and the analytics behind making the data meaningful to patients and other stakeholders; and what the future may hold. MassMEDIC is an organization of medical device manufacturers, suppliers, and associated non-profit groups in Massachusetts and the surrounding region which strives to create a positive environment which will nurture developing companies, retain and help established medical device companies to grow, and attract new companies to Massachusetts.